Colorado Senator Julie Gonzales said that today is the furthest a bill to replace Columbus Day as a state holiday has ever come, while expressing disappointment that her bill lost. The vote was unanimous in the State, Military, and Veteran’s Affairs Committee in the Senate on Wednesday to defeat the 4th attempt to reject the holiday in Colorado. 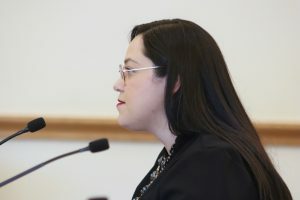 The bill, HB 1185, did pass the House on March 4, brought by co-sponsor Representative Adrienne Benavidez. Word in the Capitol was that Democratic Senator Lois Court suggested she would vote against the measure, but audience members in attendance expressed shock to watch Democratic Senators Mike Foote and Rhonda Fields also vote against the bill. Foote voted against a similar bill in 2016, but in favor of Repeal Columbus Day as a State Holiday in 2017. Columbus Day was first marked nationally in 1907 in Pueblo, Colorado. Pueblo has seen actions to abolish the holiday for over 25 years. The attempt to reject Columbus Day in Colorado has seen three previous tries beginning in 2016. Other states have passed similar measures including Alaska, Minnesota, Vermont, and South Dakota as well as cities such as Austin, Los Angeles, Minneapolis, San Francisco, Seattle, Pheonix, and even Denver. A handful of those opposing a possible statute testified that the bill was a disrespect to the Italian community. Gerald Lewis Carlisle, chair of the Colorado Italian American Foundation, part of a national foundation that works to oppose efforts to repeal Columbus Day, cited population disparities between Italian Americans and Indigenous peoples as one reason to vote against the bill, “According to the 2000 census, [Indigenous] number about 50,000 or about 1% of the Colorado population compared to the number of Italian Americans across Colorado numbering about 200,000, about 5% of the state’s population.” Carlisle also expressed confusion about why Columbus Day was selected to be replaced with Colorado Day saying that Christopher Columbus has been used as the “fall guy” to accomplish the goal of repealing the holiday. Historical perspective contrasted between proponents and opponents as well. 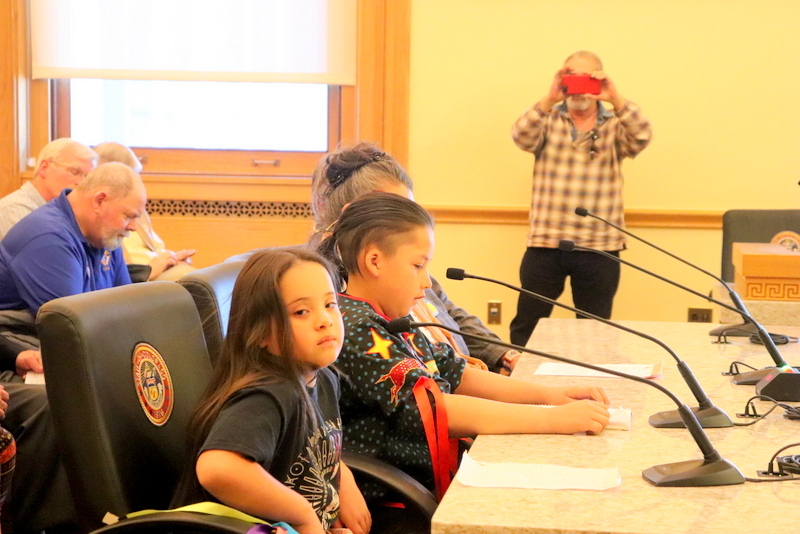 Many of those testifying in support of the bill expressed honor for the youth who testified, and also their elders. This entry was posted in Genocide, Human Rights, Politics, Racial Profiling/Discrimination and tagged colorado legislature, columbus day, indigenous peoples day. Bookmark the permalink.